After arriving in NYC and settling in my hotel, I ventured out to get my bearings. While here I was hoping to run into a friend I have known for over 25 years. I wasn’t sure my friend would be in town or if I would have time to get together. As this was a free night, I looked up and found my friend in town and available. It turns out that my friend has aged better than me, gained a new wrinkle or two, but is still wonderfully fresh and profound. Given how familiar we had been in years past, I wondered how the reunion would go, whether there would be new areas of thought and discussion. As it turned out I needed not to have wondered. Yes, to most, my friend is Les Miz, but to me “Les Miserables” is the only appropriate title. 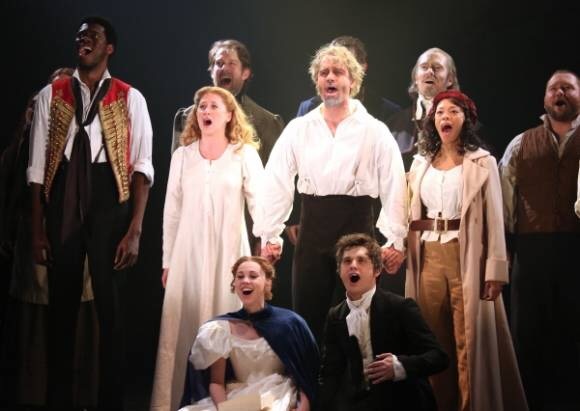 I have seen “Les Miserables” several times in Dallas, as well as in London, the movie, and have watched both anniversary concerts countless times. But to see it on Broadway was still a missing jewel in my theater crown. As I had heard, the intimacy of the Broadway theaters added greatly to the connection to the performance. 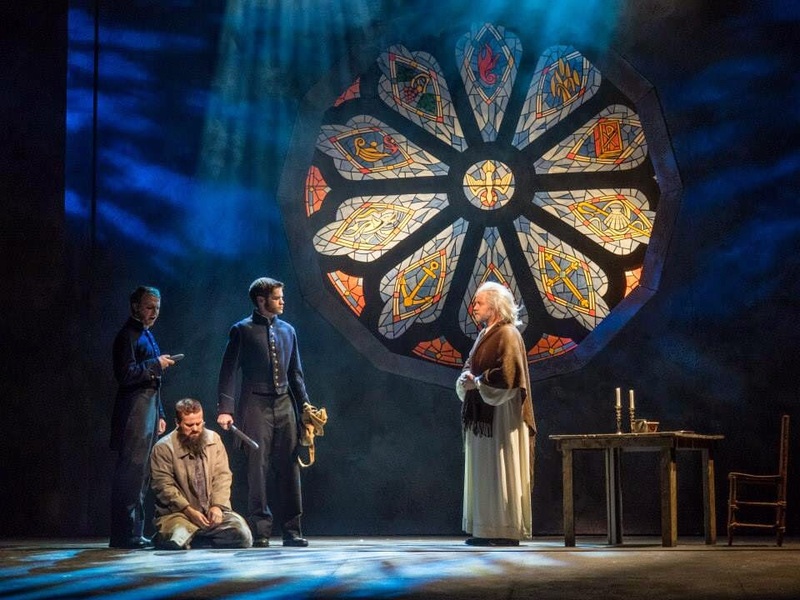 Away from the cavern that is the Dallas venue where I had seen it, and even the nose bleed seats from the London theater, my seats at the Imperial Theater, and the new staging, offered me deeper access into this profound story. Though I have thought it before, what struck me this meeting, was the contrast, and the implications of such between Jean Valjean and his nemesis Javert. If you don’t know the story, or haven’t seen the show or film, run to see it,or if necessary read the book. Jean Valjean is the protagonist who is released from a pre-revolutionary French jail after serving 19 years for stealing bread for his starving niece. Unable to find work as a paroled felon, Jean steals silver from the only person to show him mercy, a Roman Catholic Bishop. After Jean Valjean is caught with the stolen silver the Bishop backs up Jean’s lie that the silver had been a gift from the Bishop, thus sparing Jean a life sentence wearing chains in the living hell and death that was a French prison. Such grace convicts and converts Jean Valjean, who pledges to use the mercy to change and dedicate his life to something greater. Jean goes on to become a local mayor and successful businessman who employs many people who, without his efforts and leadership, would be among the shows namesakes, the miserable ones. One such employee is a single mother Fantine who was used and abandoned by the father of her daughter Cosette, who is living with the unscrupulous innkeeper, the Master of the house and mistress Thenardier. Fantine is thrown-out of Jean Valjean’s employment because of jealousy by others, and she quickly becomes one of the miserables. Throughout the show Jean Valjean runs into his former jailer, Inspector Javert who is obsessed with keeping order by enforcing the letter of the law, and capturing the parole breaking prisoner 24601 aka Jean Valjean. Upon finding out the mayor’s true identity, 24601, he relentlessly tracks him down, caring not that Jean Valjean employs hundreds and is seeking to rescue Cosette from the greedy abusive clutches of the Trenardiers. 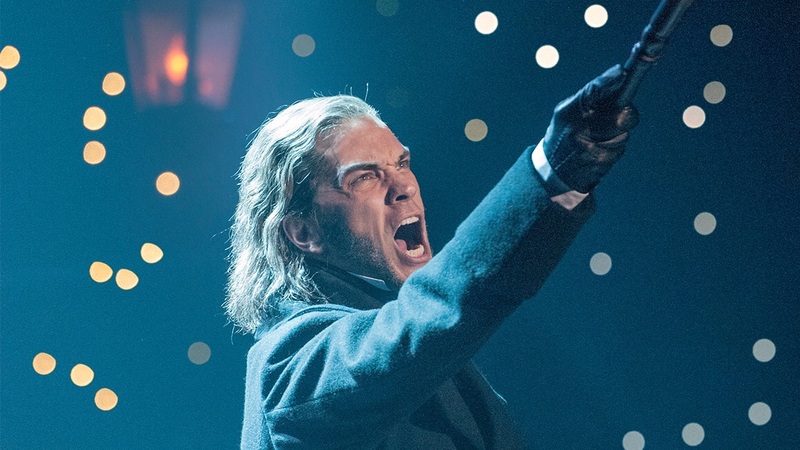 During the climax of the show’s action, a rebellion led by students seeking political and economic freedom, Javert is captured spying on the students who in turn give him over to Jean Valjean to do with as he wants. Rather than exacting revenge for his behavior during and following his imprisonment, Jean Valjean shows mercy on Javert by allowing him to escape. After his release, Javert becomes even more determined to capture 24601, who’s mercy is something he simply cannot understand. In Javert’s world God only loves and blesses those who are righteous through complete adherence to the law. Javert cannot accept the grace offered from one he considers completely beneath him. To Javert, grace has no place, only righteousness and right action. Once one breaks the law, one is always broken. There is no being made whole, even after serving one’s sentence. Eventually the grace becomes too much of a burden and he ends his life, stunningly in the new staging. 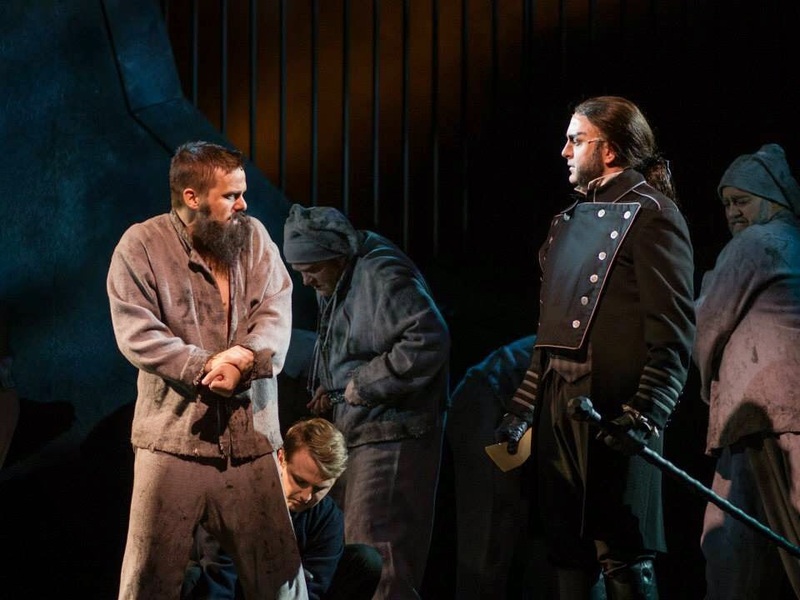 Jean Valjean and Javert echo two other characters from a famous story, Saul and Paul. Saul is the passionately legalistic persecutor of Christians in the earliest days of the Church. As a Pharisee his duty in his eyes is to protect and prosecute the law of Moses with no remorse for those who do not live by the letter of the Law. For Saul, there is no spirit of the Law. Following his encounter with the resurrected Jesus while traveling to Damascus to capture and prosecute followers of the Way of Christ, Saul becomes Paul and refocuses his passion and dedication to proclaiming the truth of the Gospel. This truth is grace, received as a gift from God through faith. As the blindness fell from Paul’s eyes when struck blind by Christ on the Damascus road, he saw that the way of faith and serving God was through receiving Grace, and in response, serving God by being the instrument of love and grace to others. This entry was posted in Scattershooting and tagged broadway, faith, faith in art, forgiveness, grace, javert, Jean Valjean, Les Misérables, revenge, saul, the Apostle Paul, tribeca film festival. Bookmark the permalink. I envy the renewal tour. Wow! And this is as fine a synopsis of your old friend as I’ve read..i look forward to Tribecan reviews..